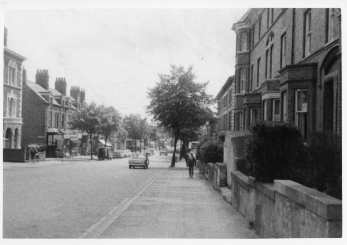 Our Heritage Lottery Funded oral history project Belgrave Memories has come to an end. 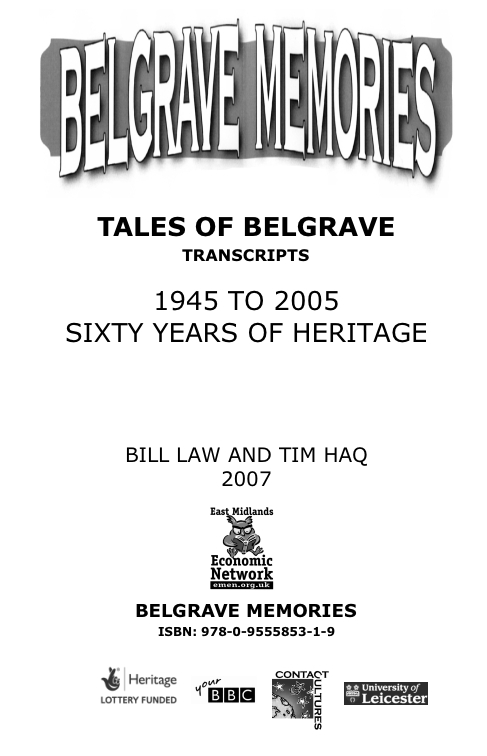 The 15-month project produced more than 80 interviews which have been reproduced word-for-word in Tales of Belgrave. 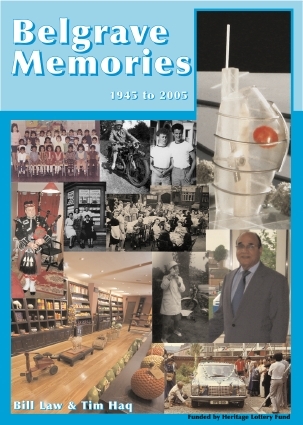 A full colour summarised version has also been produced entitled Belgrave Memories. As well as the books, ALL the interviews have been put onto a compendium DVD and 20 A2 display board produced which have be used to hold exhibitions. The project was a great success and all the archive materials collected have been copied and passed on to the Leicester, Leicestershire and Rutland Public Records Office to be preserved for future generations. 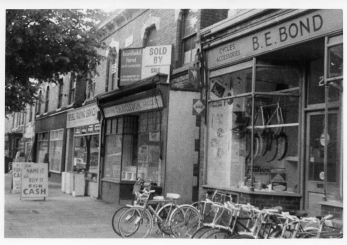 Colin Hyde of East Midlands Oral History Archive has developed a special web page where you can hear snippets of some of the interviews. Click here. Both books are available to buy from our website using a debit/credit card, just click on the images. We held an interim exhibition at St. Alban’s Centre in Belgrave, and had a Belgrave Memories Day and Fashion Show at BBC Radio Leicester facilitated by Keranjit Poona. Gladragz on Churchgate provided a range of clothes from the period and students from Gateway College volunteered as fashion models. In addition to interviewing people we also collected archive materials, copied those, and turned them into exhibition boards. We were going to hold a final exhibition and Heritage Fun Day at the New Walk Museum, unfortunately the roof fell in and this has been delayed. 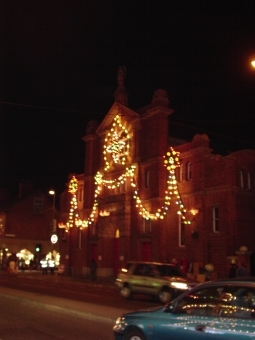 An exhibition was held at St Gabriels Community Centre in Belgrave. The exhibition boards will be made available to libraries and community centres. A copy of the interviews has been donated to the Public Records Office, as have copies of this document, and copies of the archive materials. A full independent evaluation of the project was undertaken and is available for download here (1.8Mb).